Getting back into the Dungeons and Dragons cartoon this week, I’m going to pick up where I left off last time by taking a look at episode four of the series, titled Valley of the Unicorns. 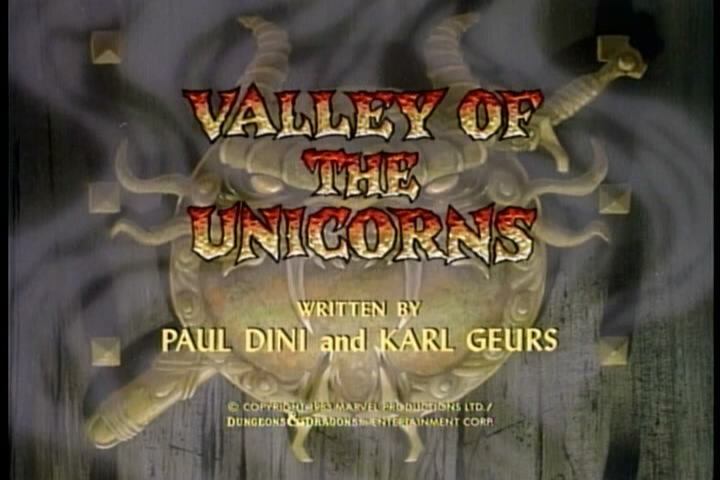 This was the last episode with input from Paul Dini and the first to feature a writing credit from the series producer Karl Geurs. Geurs would end up writing, co-writing, or coming up with the story for five episodes over the course of the show’s three seasons. Valley of the Unicorns is the second episode to sort of feature a specific character (as the pilot episode featured Presto), in this case Uni, Bobby’s pet unicorn (possibly one of the least liked characters in the series as she’s voiced by Frank Welker with a sort of a high pitched braying.) 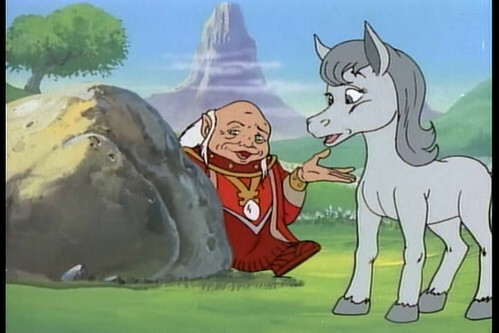 The episode centers on a wizard, Kelek, who is hunting down the last herd of unicorns to steal their horns so that he can usurp their magic and become the most powerful wizard in the realm. 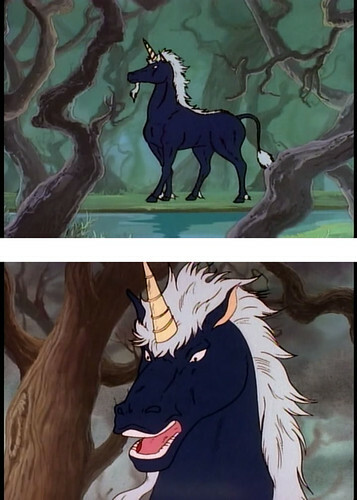 After the gang comes to the aid of the leader of the unicorns, Sivermane, who is battling a pack of giant wolves, Kelek unicorn-naps Uni, thus leaving the gang to side with one of their greatest enemies in order to get her back. 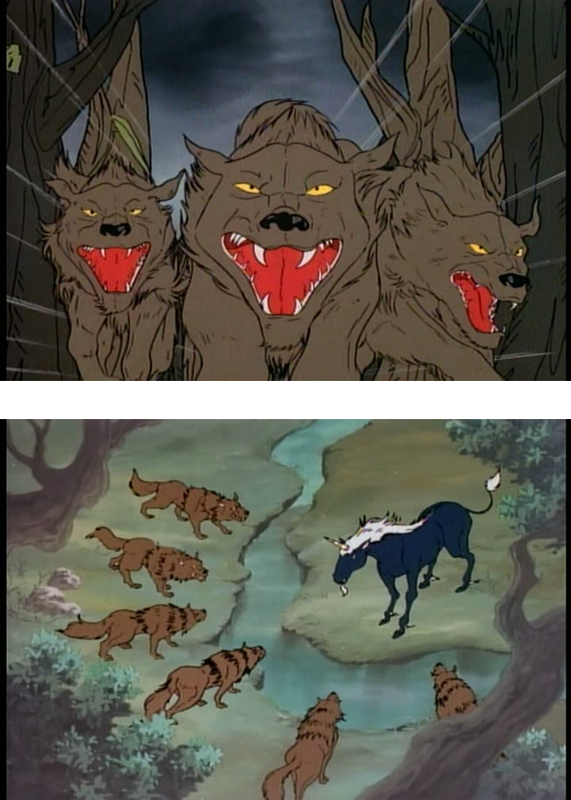 This is the first episode which doesn’t open with the gang running away from attacking creatures; instead it opens with Silvermane being chased down by a pack of large wolves. Uni apparently has some level of telepathic connection with the other unicorns as she reacts to the attack on Silvermane and end up leading the gang to the fray. Before that though there is a quick bit of subtly in a short scene that has Eric up on a rock cleaning out one of his boots (is it still a boot if it’s metal?) It’s little stuff like this that really adds a bunch of realism to a cartoon as there is no point in animating it, and we are talking about Saturday morning cartoons which are known for their economical storytelling, so it’s nice to see little things like this added in. 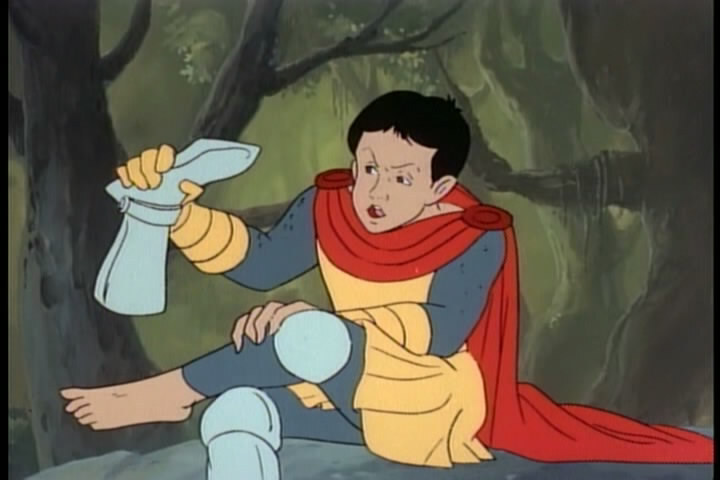 Anyway, I’m not sure if he was a character in any of the actual table top games or novels, but this episode introduces us to Kelek, one of the few characters appearing in the show that was actually part of the 1983 LJN toy line. I’m wondering if the producers of the show were given a list of the toys to possibly use in episodes as a way of cross marketing, even though the toy line was not produced off of the cartoon or vice versa. When the gang joins the fight to help free Silvermane there are some scenes showcasing some creative usage of the kid’s weapons that don’t feature them used in a directly violent manner. For instance, instead of Bobby running up to the pack of wolves and busting some up the mangy mutts, he instead stops way shot, slams his club on the ground, which creates a mini chasm that the pups fall into. Similarly, Hank’s aim is a little off with his energy bow and all of his shots seem to just miss the wolves, but to hit the ground at their feet causing them to fly up into the air and away from Silvermane. Diana is the one who uses her weapon the closest in a violent manner, though even she seems to sweep the wolves away more than striking at them. It’s getting a little closer to actual weapon usage, which I think is pretty cool for a Saturday morning cartoon. 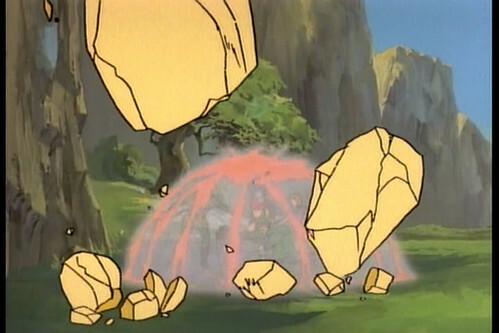 In this episode we also learn that one of the focuses of the unicorn’s magic is the ability to teleport, an ability that is what draws Kelek to attack and capture them, as he wants the power for himself. This episode also features a kind of weird slight of hand where Eric manages to produce, it seems at will from out of no where, an object from his home world as he reaches behind him to pull out a note pad and pencil. Once again, I know this is certainly letting my nerd flag fly, and I do realize that stuff like this is fun to write for funny character beats, but not fun to explain in the actual episode. We end up seeing this a lot with Eric in particular as he ends up with everything from a wad of cash to comic books in future episodes. I wonder why it wasn’t written so that Presto is the one producing these items at Eric request? Maybe this is supposed to be inferred. The one thing I really thought made Kelek a cool character was the manner in which he hides and calls forth his castle on command, raising up his arms to clear a spot in a huge briar patch, and having the castle burst forth from the ground. Really flashy, though after awhile I’m sure it would just get annoying. There’s a sort of disturbing scene where Kelek reveals his ultimate plan for the unicorns and he ties Uni down and magically removes her horn, steal not only her magic but apparently her will to live as well. She loses all her color and is left a dull gray color. This sort of reminded me of the scenes where the Skeksis drain the life from a series of terrified Gelflings in the Dark Crystal. Things get pretty emotional as Bobby and the rest of the gang are frozen in place, forced to watch the de-horning of Uni. I thought that this sequence was pretty intense as we watch waves of sadness and vengeance roll over Bobby, strong enough that he’s able to break through the magic that’s frozen him. 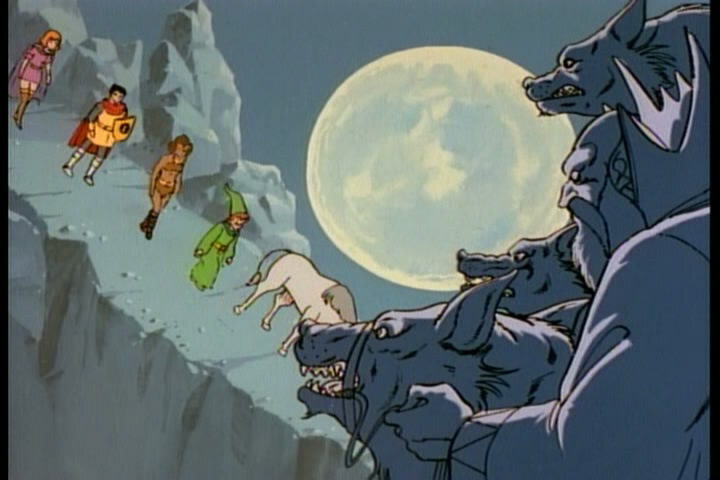 I also though that the layout of this following scene was really nicely done, as the kids are shot from afar walking to the secret area where the unicorns live, and Kelek and his wolves are show in close-up framing the right-hand side of the cel. Pretty dynamic for an 80s cartoon. 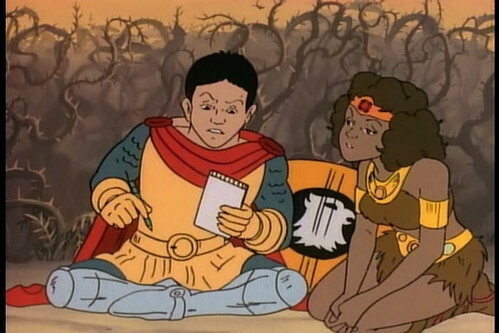 This is also the first episode where Dungeon Master pops up a second time to give the gang more clues on how to achieve their goal. It’s the beginning of a short series of episodes that feature him as a more prominent character in the story, though if this was for the ease of writing (as DM is basically a walking deux ex machina) or to develop him more as a character is beyond me. Also introduced for the first time in this episode is the concept of teaming up with Venger against a common foe, which is surprisingly quite common in this series. When I think back on all of the cartoons I watched as a kid and how repetitive all the situations and plots were, it’s sort of interesting that we’d end up seeing a team up with a villain as often as we do in D&D, as I think it was a lot rarer in other series, especially when you consider most other shows had four times the amount of episodes. 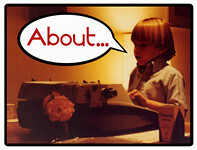 I might just be remembering this wrong (which is why I’m writing these Cartoon Commentary! columns to begin with), but it seems like a much more common plot device nowadays. 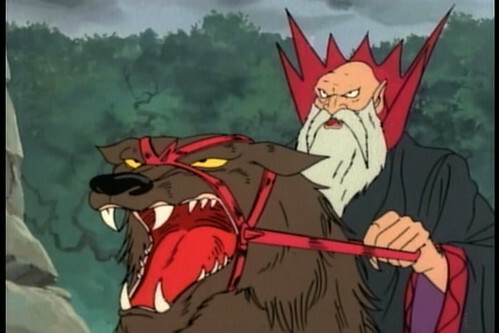 There is a pretty fun wizard battle as Venger shows up in the nick of time to take down Kelek (and it also infers either a hierarchy of evil wizards or poses the idea that Kelek works for Venger), and essentially wipes the floor with him. Of course, in beating Kelek Venger also brings about the destruction of Kelek’s castle, which again furthers the idea that any large dwelling like this will ultimately be destroyed after Venger enters it. As in the last episode, there is a brilliant display as Venger is dispatched in the crumbling ruins of the building, though this time instead of forming a giant spectral Batman symbol, it’s a tower of smoke shifts and changes into his likeness, which is forthwith blown away. 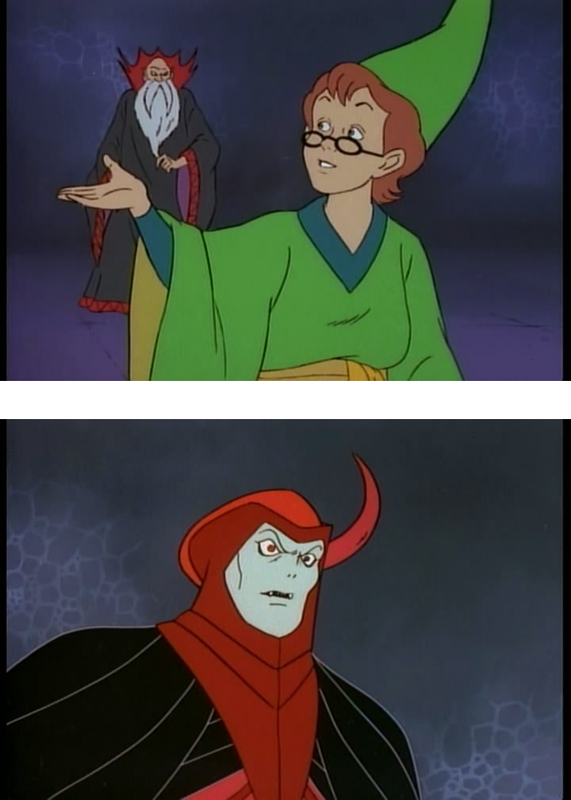 I’m not sure exactly what happens to Venger in these scenes, but it sure as hell happens a lot over the course of the series and never really seems to do much other than keeping him away from the kids for a day or two. At least these displays are eye candy. At the end of the episode as all the unicorns are returned to their mystical selves, and gather in their little colorful grotto, I was actually hoping for the gang to make a comfortable split with Uni, and not because she can be annoying. In the second episode, as the kids are on their way home the idea is brought up that Bobby won’t leave the realm without Uni, who in turn can’t leave the realm because she won’t survive outside of it. 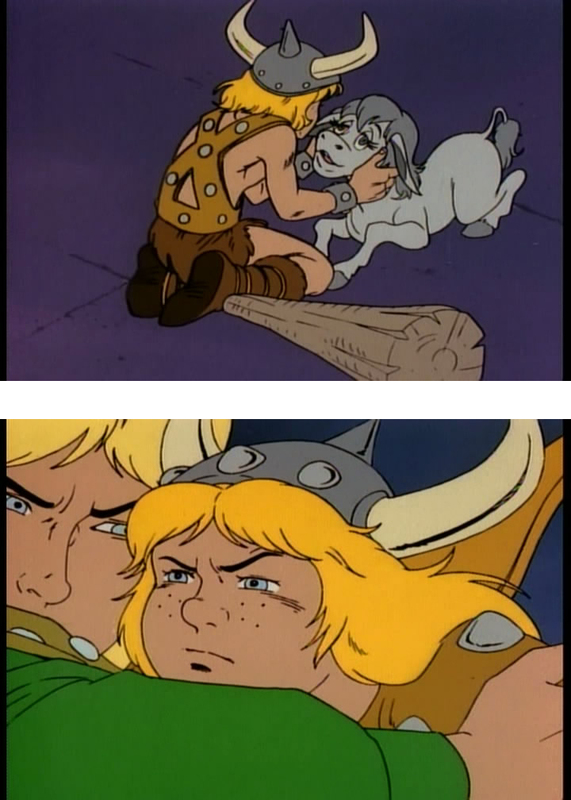 This effectively traps the kids in the D&D world as long as Bobby won’t budge on Uni and immediately puts the kibosh on them getting home in future episodes. Well with this episode there’s all of a sudden this wonderful Valley of the Unicorns that would be an awesome place to ditch the little brayer. The gang actually does leave her behind, which is sad for Bobby, but I was cheering nonetheless. Of course, adhering to the confines of the natural rhythm of a kid’s show, Uni has to burst forth from a multicolored waterfall to re-join the gang on their adventures, leaving behind her home and kind for the main characters. A touching scene to be sure, but horrible for the overall plot. 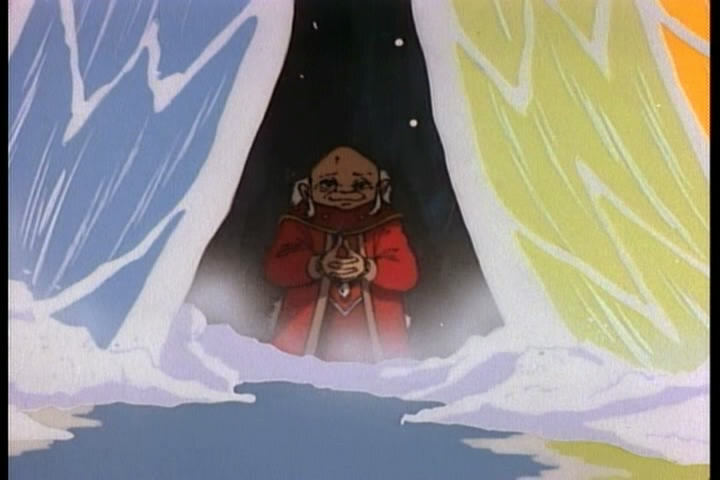 In this episode we’re also treated to a third appearance of Dungeon Master, though he stay hidden from the children to sort of gloat over what he’s accomplished. This is one of, if not the last time DM is portrayed in this manner. PreviousI wonder if they’ll still call him Satan? NextCartoon Commentary! #6, with 30% more Dungeon Master!